Dryer vent fires can be defined as the number one reason behind the cause of fires in United States. 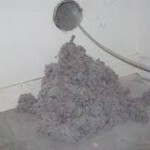 Unfortunately, many people ignore dryer vent cleaning since it is out of their sight. 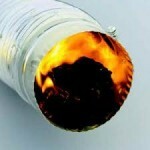 However, it’s one of the most important aspects of fire hazard prevention at home. Keep on reading this article to learn the importance of dryer vent cleaning and how to do it. Safety – According to a 2013 report, dryers are recognized as a possible fire hazard. The US Consumer Product Safety Commission has states that dryers were responsiblefor over 20,000 fires in United States during 2008. They have resulted in over 20 deaths and 370 injuries. A fire can happen in the dryer when lint builds up. They can block the air flow, which causes a lot of heat to build up. This can cause fire at any point of time. Energy Conservation – When dryer vent cleaning is not preformed regularly, lint build up will clog the dryer duct and restrict air flow to the outside, preventing from the hot moist air, the dryer machine takes out of the wet clothes, to be exhausted to the outside. When that happens, you will need several drying cycles to run in order to dry your wet clothes. Every dryer machine drying cycle will double your energy usage and utility bills. 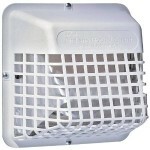 Indoor Dust Reduction – Another way dryer vent cleaning could benefit your home is reducing dusting. When the dryer vent is working properly, all the lint that your clothes dryer produces while drying, is being exhausted outside and not accumulating indoors. How Do You Maintain A Dryer Duct? 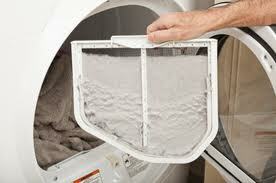 Maintaining a dryer vent starts with the basic operation of your cloths dryer. Most dryer machines have a lint filter that has to be cleaned before every cycle of cloths dried, reducing the amount of lint ejected into the dryer duct. 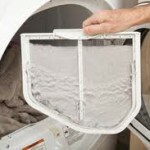 A better way to prevent lint buildup in the dryer vent is to add a secondary filter in the vent connecting the dryer machine and the dryer duct. This will reduce the amount of lint significantly and will also delay the need for your next dryer vent cleaning service. On the market today, there are many dryer vent cleaning tools designed for the average homeowner. One could use those vent cleaning tools to maintain the first few feet of the dryer duct, but for a more thorough cleaning, you would have to call your local duct cleaning company. Agitation – Lint and debris should be agitated and loosen-up with a rotary brush or high pressure air bursts. 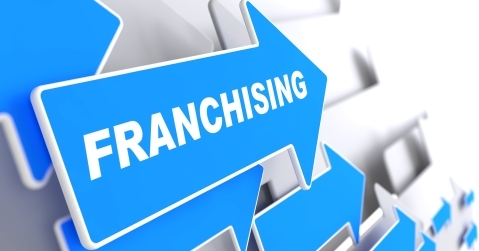 Extraction – Removing the loose lint and debris with a vacuum or high pressure air. 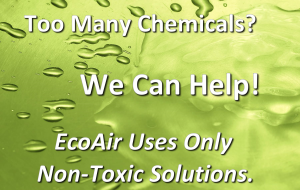 Sanitizing (optional) – Fogging the dryer duct with a disinfectant and prevent bad odor and mold. 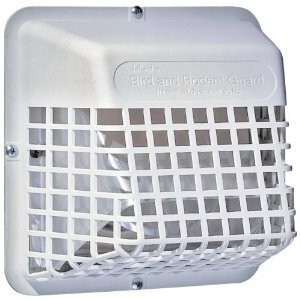 Bird-Guard Installation – Install a bird-guard to prevent birds from building a nest in the duct exhaust and blogging air flow. What is a Bird guard? – A bird guard is a ruff filter that prevents birds from entering and building a nest in the exhaust side of the dryer vent, but at the same time, allowing the lint to escape through the holes. After a dryer vent cleaning is complete, its important to install a bird guard and prevent birds from blocking the exhaust and air flow.